Are we educating students to truly complete globally in the world of tomorrow’s technology? Real learning takes place 24/7, cradle to grave. Only small percentage occurs inside of school during the K-12 years. Yet, we are still educating students using an industrial age infrastructure. 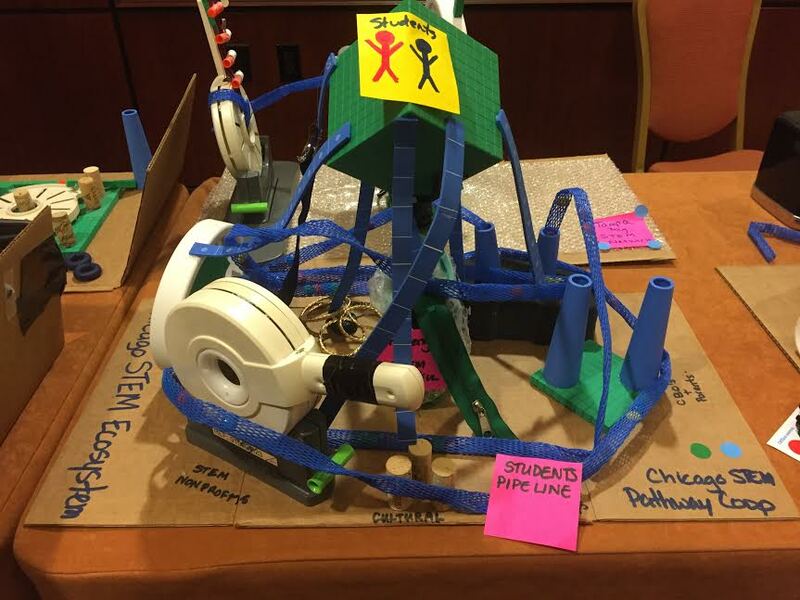 What if we could create a new infrastructure for STEM education that is built for the future? • All Chicago students possess the requisite STEM skills to be competitive for 21st century jobs. • All educators are provided the tools and support to ensure their students are STEM competent and STEM literate. The Chicago STEM Pathways Cooperative aims to increase youth and family access to quality STEM experiences in both formal and informal settings, from cradle to career. This cross-sector collaborative of Chicago Public Schools, nonprofits, foundations, cultural and civic institutions, corporations, higher education institutions and parents will improve the coordination of STEM learning opportunities and identify gaps in STEM programming. With a shared vision and metric for enhanced program sustainability we will connect city wide opportunities to give students cradle to career access to quality STEM education. Our infrastructure will benefit from collaboration and information exchange among similar initiatives in 27 cities nationwide, as well as from technical assistance from the STEM Learning Ecosystems Initiative, a national project of the STEM Funders Network.